We’re always fans of owner-managed lodges as we find they are usually more personal and warm – and Stuart (the Italian/Australian owner here) has to be one of the most enthusiastic and hands-on owners we’ve come across! 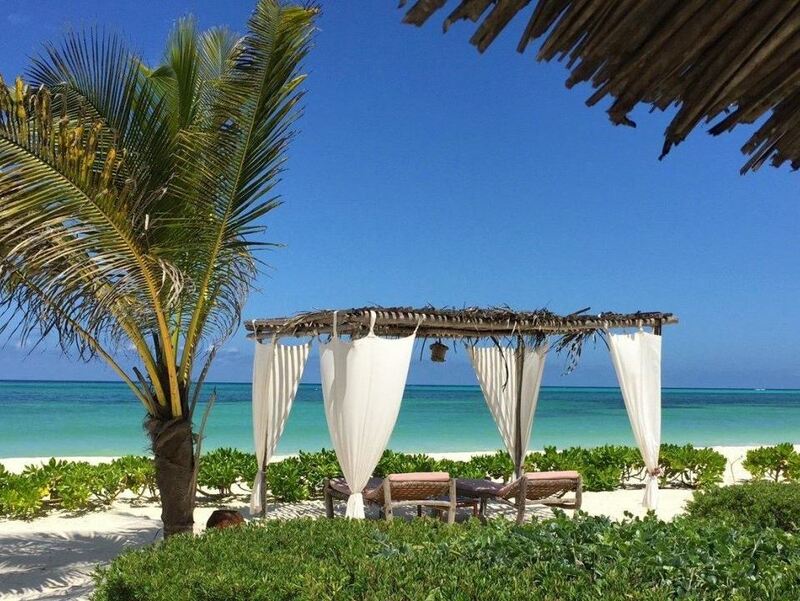 Stunning beach boasts sand with the consistency of fine flour! Take a long stroll or ride a bike whilst you admire the palm trees on one side and the azure ocean on the other! Guests consistently rave about the delicious food on offer here – the emphasis at Next Paradise is on local ingredients with freshly caught fish and seafood a speciality! Inevitably there’s an Italian influence too given Stuart’s heritage – we still dream of the seafood pasta we ate here! Wonderfully friendly and helpful staff who go out of their way to make you happy! chill around the lodge’s 2 swimming pools, then perhaps head off for a relaxing massage whereafter you can drag yourself along to the bar where the friendly barman will happily whip up something long, cold and delicious for you! When we first visited Next Paradise shortly after it opened back in 2009, it was a charming little 10 roomed lodge with a wonderfully friendly and enthusiastic owner in Stuart (a lovely guy born in Australia but brought up in Italy) In fact, I still fantasize about the delicious seafood pasta we enjoyed on that visit!!! 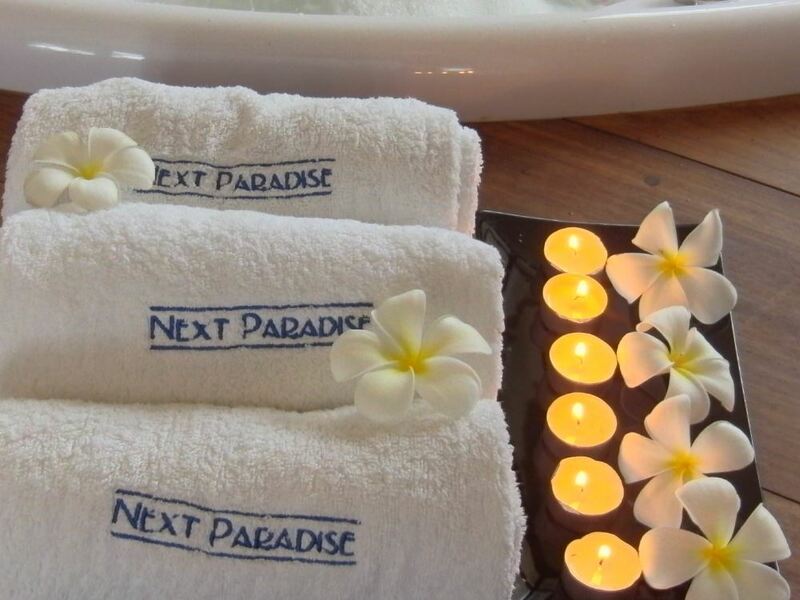 Fast forward to the present and it’s testimony to the great job that Stuart and his team have done that Next Paradise has successfully expanded to 21 stylish rooms and that guests are still raving about their stays here! 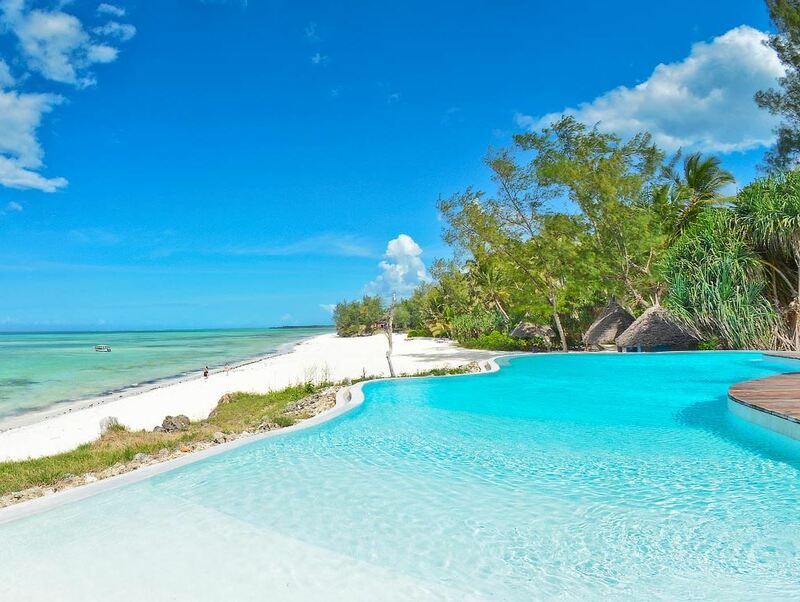 Next Paradise is located in the village of Pwani Mchangani which possesses one of the most stunning beaches on the entire island – an endless stretch of impossibly-fine coral sand lined with palm trees on one side and the blindingly aqua-blue ocean on the other. 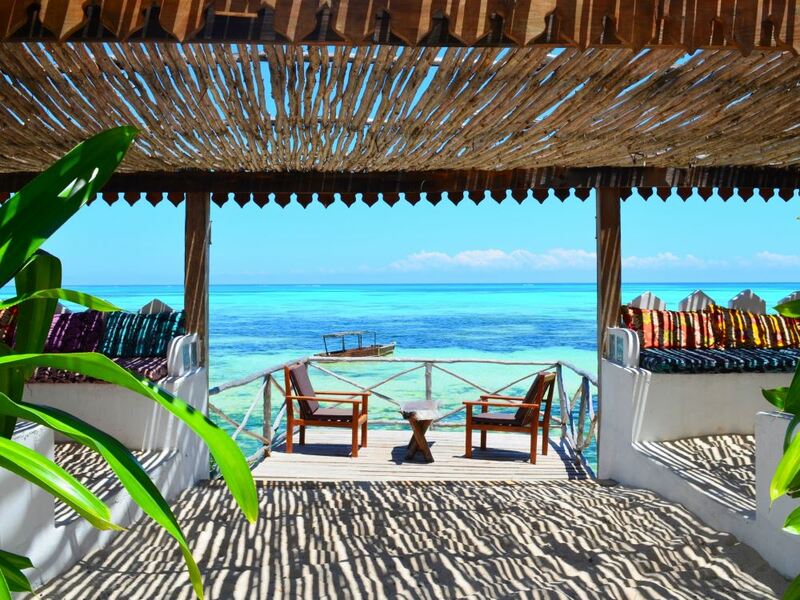 In common with the rest of the east coast of Zanzibar, there is an amazing tidal range here and when the tide is out you can literally wade through ankle-deep water right out to the reef which lies about a kilometre offshore! It’s a good thing then that the lodge has not one but two swimming pools in which guests can take a dip to escape the summer heat during low tide. Compared to the main resort area to the south, the beach here is still relatively isolated with not too many of the island’s infamous hawkers, though still a few. Whichever room you choose, what you’ll get is a clean and comfortable space combining elements of local Zanzibar styling with luxurious European touches. Stuart was actually an architect before following his dream to open a lodge, so the rooms showcase his innate sense of style and taste. Whilst the furniture is 100% Zanzibari, handmade from solid wood carved by Zanzibari craftsmen in local style, you can look forward to stylish bathrooms complete with spacious showers, bidets and with ceramics and fittings imported from Europe.Comfortable beds are hung romantically with mosquito nets and the rooms are equipped with air-conditioning to ward off the fierce island heat and humidity during the summer. Each of the rooms boast little veranda areas, many of which have some sort of sea view. Those little verandas are the perfect place in fact to enjoy your breakfast – the lodge is happy to serve you breakfast on your balcony at no extra charge! For many guests the dining experience is perhaps the stand-out element of their whole stay at Next Paradise with the food receiving consistent rave reviews from happy guests! The four-course dinners are especially delicious with a strong bias towards freshly caught fish and seafood. The evening menu is displayed on a chalk board every afternoon and if you don’t fancy anything on it then you’re welcome to ask the chef to whip up something that you do like – in reality unless you’re allergic to something, most guests are happy to stick with the scrumptious standard fare! On Monday evenings there’s usually live music where guests can enjoy a dance, but don’t get the idea that Next Paradise is a party-place – rather this is a perfect lodge for couples looking for a quiet, romantic holiday. The activities on offer are similarly low key here. 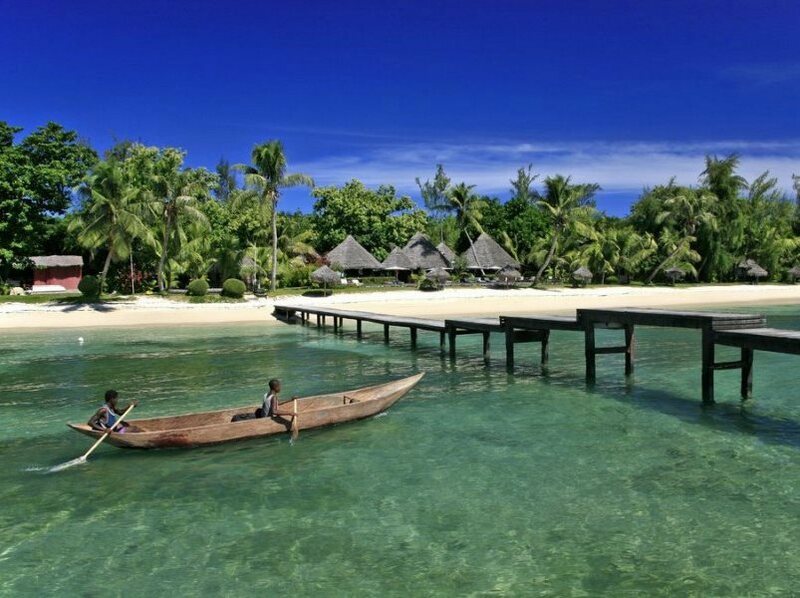 Stuart and the friendly manager Daniella will be happy to make suggestions and book island excursions for you with snorkelling on the reefs of nearby Mnemba Island being a must-do. Another option is to take a couple of the hotel’s (free) bikes and head off for a ride along the beach where you may decide to stop for lunch or a drink at one of the small restaurants dotted along this stretch of coast. Otherwise there’s little to beat just chilling around the lodge’s 2 swimming pools, then perhaps head off for a relaxing massage whereafter you can drag yourself along to the bar where the friendly barman will happily whip up something long, cold and delicious for you!